At this time of year, one of our favourite ways to spend Christmas is to explore some of the wonderful Christmas game updates that our most cherished games have to offer. What if I treat you this festive season with a list of the most prized Christmas updates available for all including unique maps, joyous quests, and quirky characters. Every year Rockstar games release an update called the “Festive Surprise”. Up until the 5th of January los santos will be blessed with Christmas cheer as the city is decorated with snow. Lay down your Rifles, lower you miniguns and arm yourself with an arsenal of snowballs. Along with the mass snowball fights you can dress for the occasion with a brand new selection of Christmas themed clothes which can be purchased in any clothes store through Los Santos. 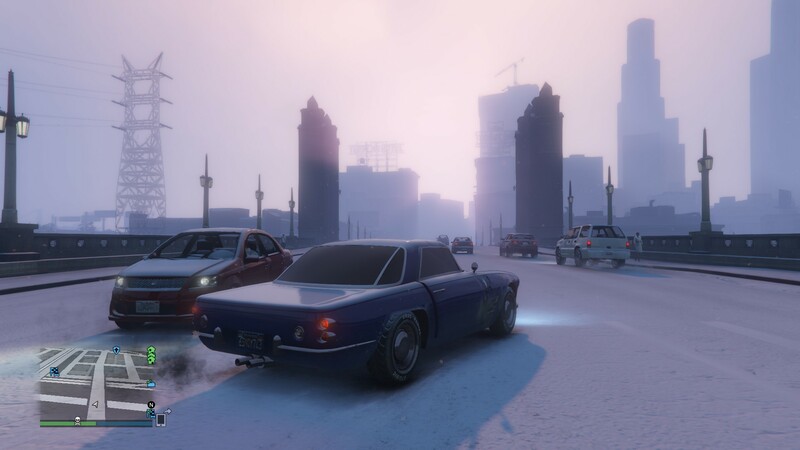 With rumours speculating the imminent arrival of the mysterious Declasse Tampa you could be hitting the snow in style. Like most RPGs Runescape release a Christmas event every year which consists of a small quest the player has to complete. This year you’re tasked with stopping the Anti Santa from ruining Christmas who is collecting children’s tears in order to raise his army of the sorrowful. Along with the quest comes the festive clothing then can be unlocked when you complete the quest, you are also rewarded with rare items upon defeating the anti santa. Over at Supercell they’ve kept things simple. They’ve brought in the Christmas spirit by making simple changes to the map by swapping the tree’s with traditional Christmas trees and of course laying a nice blanket of snow. This is a subtle but nice Christmas gesture that Supercell have given to their fans. Angry Bird’s released a brand new edition to their massive collection on the 1st of December. A Christmassy adventure against your mortal enemies. Ski or Squeal is similar to most of their game play but of course has a lovely Christmas theme. The Sims – Secret Winter Wonderland Quest. Come Christmas, Sim fans everywhere are treated to a new festive quest! Like most Sim quest the player must follow a series of tasks in order to get a bunch of experience and to unlock never seen before furniture & decorations. This festive quests takes 12 days to complete. If done in time you can yield MASSIVE bonuses. With the brand new Christmas update awaiting release many people are wondering whats in store. Last year Mojang left it plain and simple. A new texture was added in game, Chests were changed from the normal wooden to a festive Christmas presents. It cant be confirmed, but we’re hoping for something fun! If they fail to deliver, don’t worry! We already have a snowmen and you could download an awesome looking Christmas texturepack. Team Fortress 2 has been stepping up the update game within the last few years. This Christmas update brings a “swissmass miracle”. “Swissmass” gifts will be given out! Festivizers let you take your best weapons from the campaign and enables you to craft them to your hearts content! Along with the amazing festivizers the Mann Co. store winter sale is on as well so you can grab a chilling deal. Simpsons Tapped out is a seriously addictive mobile game and the team behind the game know it. Every holiday (From Easter, Halloween, Christmas and more!) the game gets it’s very own unique update which never seems to disappoint. EA always go big with their update’s including the Christmas ones. If you play tapped out you better be stocked up on doughnut’s because this updates brings a ton of amazing Christmas premium buildings and decorations. another big release is the introduction of the infamous Maggie, who apparently has been long awaited. Overkill have brought the phrase “White Christmas” to the table in a whole new way. With this amazing Christmas update you learn that Vlad’s drunken Bosnian Norwegian brother-in-law pilot crashed his plane, Somewhere in the forest, leaving all his Pure Colombian cocaine for anyone to take. There are two steps to this beastly heist. bring back as much of that cocaine as possible! This update packs a festive punch that Pay Day 2 players will definitely enjoy. This update is huge and looks rediculously fun! Check out their dedicated site for it. As a few festive bonuses check out these which we’ve added just today. This Christmas update comes packed full of brand new heros and holiday themed changes. Check out the full trailer below to see more about this bonus. Do you think I’ve missed out any major Christmas game updates? If you’ve played any of these updates let me know in the comments! Merry Christmas from me and all of the DUG team. After meeting Daniel, the creator and founder of Double Up Gaming in school many years ago, he graciously offered me an opportunity to be a part of this ever expanding realm that is game journalism. I find myself learning everyday with the help of our amazing team and discovered many hidden talents and hobbies.